fit in well in our new home! and the counter top of our breakfast bar. 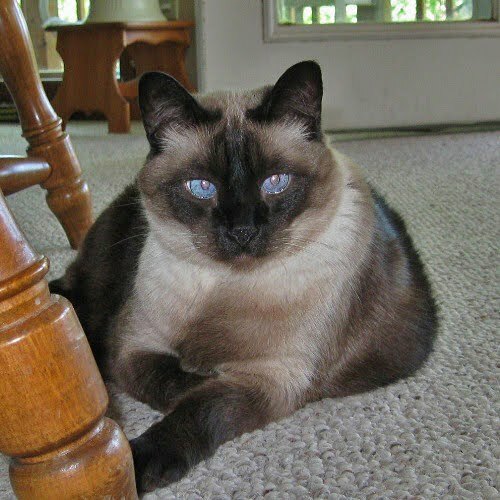 My meezer colors look good with our carpeting. My meezer colors look good with the wall color. 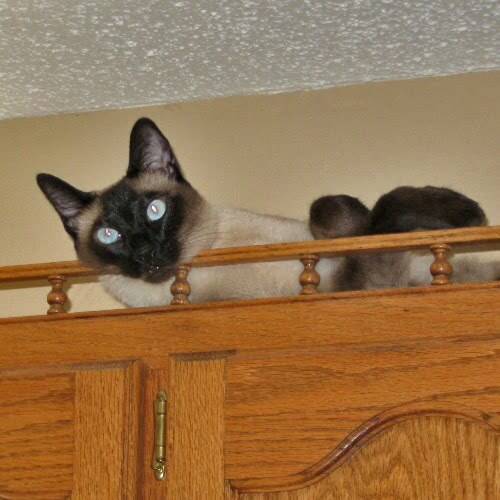 Happy Meezer Colors Day, Furriends! You color-match your house!! Beautiful!! All three of you have gorgeous meezer colors!! They are beautiful Meezers and you have a beautiful home as well. You colors compliment the new house purrfectly!!! You have lovely meezer colors. Did I get to do a Meezer Colors post? NO. Sabrina, you would look beautiful with any colors. Of course you guys look nice too, but it's just not the same. 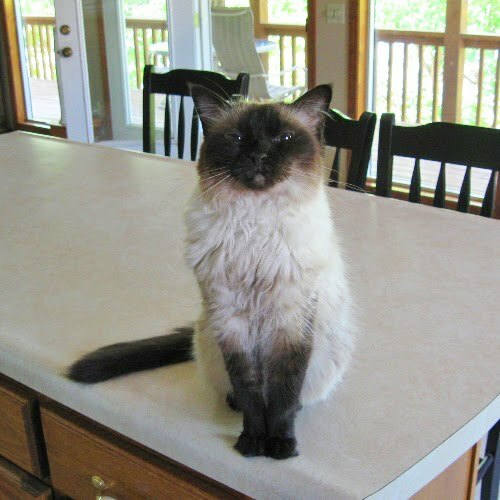 Sabrina, would you like to come over for some Wellness treats and a snuggle on the gizzy? I will drop by and pick you up. Purrfect displays of Meezer colors!!! Wear your Meezer colors with pride! Obviously your human got your new home specifically because it went so well with your colors! You all have lovely Meezer colours. What great meezer colors you have and they did the house to match you too. That is terrific. What great pictures and all of you look great too. Sabrina, very beautiful. Sam and Simon, very handsome. Hope you had a Happy Meezer Colors Day. Yep, your colors sure do well in your new home. It's so neat that you match your dwelling place. Great portrait pictures of all of you.